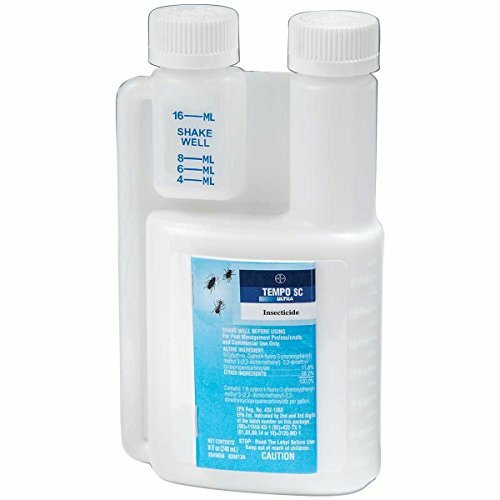 Tempo Ultra SC 240 ML (8.12 oz) Multi Use Pest Control Insecticide ~ Spiders Bedbugs Roaches Silverfish etc.. by Tempo at The Net Stores Network. MPN: 80880618. Hurry! Limited time offer. Offer valid only while supplies last. Fast broad-spectrum control of more than 100 nuisance pests.Tempo® SC Ultra insecticide delivers the power of a powder formulation in a liquid. If you have any questions about this product by Tempo, contact us by completing and submitting the form below. If you are looking for a specif part number, please include it with your message.